Mind Lab Pro Review (UPDATED 2019): Don't Buy Before You Read This! Mind Lab Pro is a stimulant-free nootropic product aimed at helping users think more clearly and perform better mentally. The makers of this product also claim this product helps with brain regeneration and boosts processing speed. Mind Lab Pro works in a number of ways, including providing increased circulation in the brain, as well as protecting against environmental factors that cause brain aging. Mind Lab Pro claims its nootropics blend provides a wider range of brain benefits, delivering immediate changes in cognition, as well as preventative support. In looking at all types of brain health supplements, we’ve learned Memotenz most effectively helps users regain the ability to recall details and feel sharper and more mentally energized. Read up on the many benefits that Memotenz gas to offer – click here for more. Rhodiola Rosea: This plant is used to increase energy and stamina, as well as help the body adapt to internal and environmental stresses. Bacopa Monnieri: An herb used in Ayurvedic medicine, bacopa monnieri is used to boost memory and cognition with use, and may help in the treatment of Alzheimer’s or other types of age-related memory loss. Citicoline: A brain chemical found naturally inside the body, citicoline is used for the treatment of Alzheimer’s disease, and may assist in the recovery of those recovering from stroke or head trauma. Side effects may include chest pain, blurred vision, headache, nausea, diarrhea, changes in blood pressure, insomnia, and more. Phosphatidylserine: A compound found naturally inside the body, SAM-e is often used to manage pain and osteoarthritis symptoms. It is also thought to help treat depression and ADHD, though more research is need on the latter. Side effects may include dizziness, anxiety, diarrhea, constipation, thirst, headache, as well as an allergic reaction. Lion’s Mane Mushroom: An edible mushroom with a number of health benefits, lion’s mane mushroom acts as an antioxidant and anti-inflammatory, and provides a variety of benefits to the immune system. Pterostilbene: A derivative of resveratrol, pterostilbene is more potent than its predecessor, delivering a hefty dose of antioxidants, which are thought to have anti-inflammatory and anti-cancer properties. Vitamins B12 and B6: Essential vitamins found in several types of foods like fish, meat and dairy, both vitamins play a key role in the health of the nervous system, and a number of bodily functions, as well as prevent certain signs of inside the brain. L-Theanine: An amino acid found in green tea, L-theanine is used primarily to give users a sense of focused relaxation, and it’s thought to help with things like meditation and stress relief. Tyrosine: An amino acid you can easily find in eggs, meat, beans and more, tyrosine is used to treat stress, Alzheimer’s disease, ADHD and ADD, and may help with alcoholism or addiction recovery. Side effects may include an upset stomach, as well as trouble falling asleep and staying asleep. Vinpocetine: A man made chemical used to treat stroke victims and people recovering from head injuries. Vinpocetine is also thought to help boost memory and cognition, and may have a positive effect on Alzheimer’s patients. Side effects may include nausea, sleeping trouble, nervousness, dizziness, flushing and headaches. 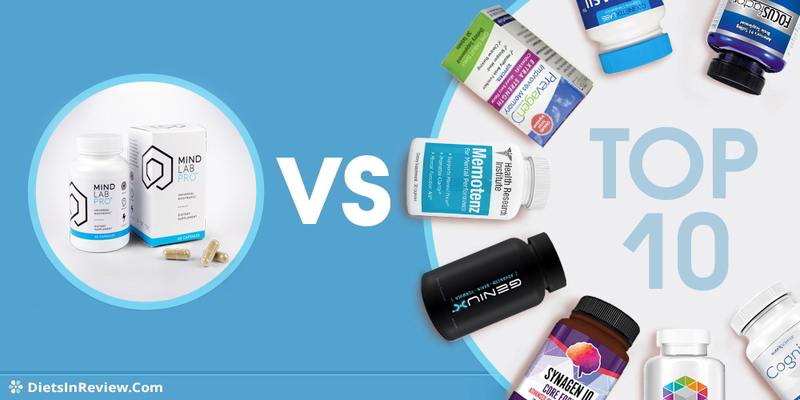 Click for a close look at the best brain supplements available right now. In taking a closer look at Mind Lab Pro, there’s a host of ingredients well-known to provide a number of benefits to the brain. Additionally, the presence of nootropic ingredients like vinpocetine and citicoline could also help users feel more alert and mentally ready to take on big projects. Overall, we liked the amount of research detailed on the site. It adds a layer of trust that many competing products simply don’t have. That being said, there don’t appear to be any clinical studies performed on this supplement as a whole, so we don’t know what the risk of side effects are. Nootropics and beyond, find out what you should be taking for a clearer mind. 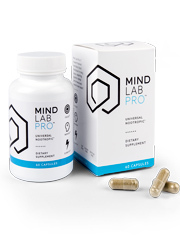 Mind Lab Pro offers a single one-month supply for $65, or two bottles for $130 and 3 bottles for $195. The price doesn’t go down should you decide to stock up on multiple months of product, but they do offer free shipping. Get that brain in shape – our guide to the herbs and nootropics that’ll take your mind to new heights. The website for Mind Lab Pro features a ton of information, they’ve provided a profile of each ingredients, testimonials, studies and more. The website also features a comprehensive FAQ section and fairly straightforward ordering. Overall, we appreciated the transparency of this brand, and customers should feel confident placing an order. We didn’t see any complaints from those who had ordered in the past, though there’s no BBB rating, as this company is based in the UK. It’s hard to make a clear judgement as to whether or not this product consistently performs as advertised. We simply could not find enough unbiased reviews suggesting otherwise. It does look like the people who tried this were happy with the results, but the supplement seems to affect everyone slightly differently. We had the one user mentioning this product felt a little strong, while others didn’t see results for over a week. Get your brain operating at full capacity – learn more about the world of nootropics. 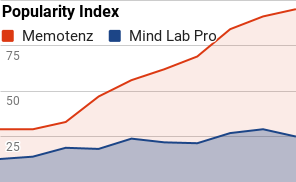 How Does Mind Lab Pro Compare? Conclusion – Does Mind Lab Pro Work? 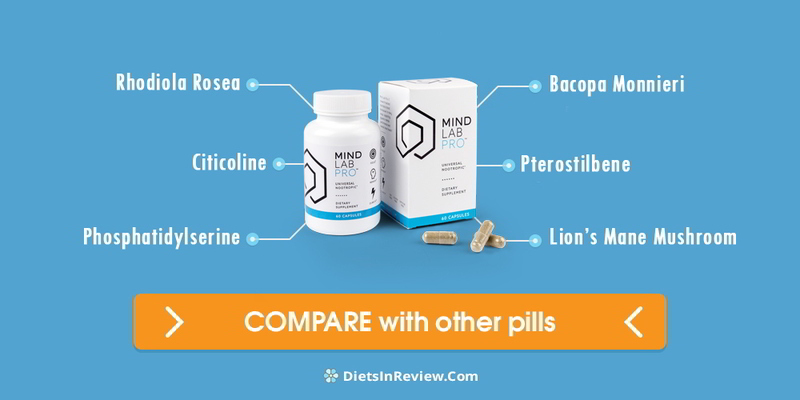 Based on the information we found for Mind Lab Pro, this could be a really good supplement for a number of reasons—it’s vegan, there were few reports of negative side effects, and the company appears to be legitimate and has a pretty large following. We did wish that more reviews were available, as there just aren’t many consumer accounts discussing what people liked or didn’t like, as well as what the effects are like when used on a daily basis. In general, this product may be worth a try for a number of consumers, but it’s hard to say whether users can expect consistent results. It seems that there are an awful lot of ingredients used to make this product, any in some cases, the dosing may not be high enough. The comment above regarding the small amount of lion’s mane mushroom is a good example of this. We also don’t know if this product is aimed at healthy people looking for a boost in conversational skills, decision making and more, or if this also could have a positive effect on people suffering from Alzheimer’s or just the effects of the brain getting older. 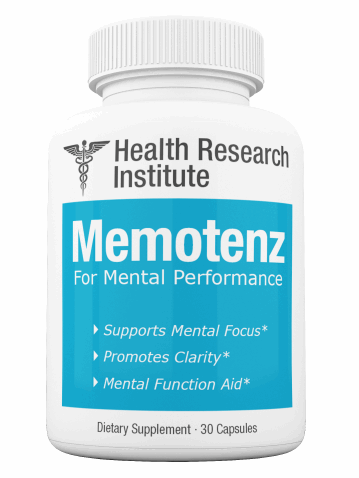 In looking at numerous solutions for brain health, it seems Memotenz works best to restore short term memory capacity, as well as sharpen thinking and concentration with use. Herbal ingredients like gingko biloba and bacopa monnieri safely deliver benefits to the brain, without the risk of side effects. Memotenz is made following strict quality control procedures and has undergone significant testing to ensure consumers get a safe and potent product. Click the link to learn more about how Memotenz can help you improve learning, focus and more. I am starting to contact every person who gives on-line support to Mind Lab Pro. 3 weeks ago I ordered their product and after a week when it had not been delivered to my address (they suggest 1-3 days by the way) I contacted them. The shipping company that they engaged apparently shifted their obligation to another company. Now, 3 weeks about since ordering and 2 weeks since contacting Mind Lab Pro, they won’t refund me (oh, apparently they aren’t saying this, just not doing it – lol) saying they are checking into the delivery company. Seriously, 2 weeks to do this since being advised of non-delivery. You support them so I am advising everyone I can find that does of this. My shipment showed up in 3 days and was shipped within 24 hours of ordering. the same thing happens to me, I bought mind lab pro on September 14, 2017 and I have not received it yet, they have me dancing saying that it is a problem of the delivery company. for me with so many problems that I have read of the same thing is a scam. How can you proceed to denounce this scam company? Hi, I ordered mine on the 28th March and the DHL team delivered this on Easter Sunday, so I have to say from the UK to Australia in three days is pretty good. I could track the shipment at all stages and received an email notifying of delivery and signature required. Kindly send us mind lab Pro so that we can use it and leave a comment how we feel after taking mind lab Pro please send the mind lab Pro we request you many times thank you and give your reply. Don’t ever order from MindLabPro. Funds were taken from PayPal account on Oct 1st 2017. As of October 9th 2017 MindLabPro’s customer support cannot provide me with shipping information or when my order will be filled. Customer support doesn’t even read the emails as far as I can tell. BUYER BEWARE!!! THIS COMPANY IS A SCAM!!! If you end up returning the product – they CHARGE YOU THEIR INITIAL SHIPPING COST if you got free shipping. SO YOU END UP PAYING TO SHIP THE PRODUCT BACK AS WELL AS GETTING A CHARGE FOR 9.95 for their cost. UNBELIEVABLE!!!! My experience with MLP has been great so far. I finished one bottle and now my 4-month supply is on its way to me. Great product. It really worked for me during my 1st bottle consumption hence I ordered their 195 USD supply cause I believe it’s really worth purchasing. I never had problem with my first order as the product came 3 days after , I chose express delivery btw. I definitely recommend this. I only take 1 capsule per day as it is more than enough for me but sometimes I take 2 or 3 whenever I need the extra boost. So my 4 month supply I ordered will last me for 10 months I guess (cycling for 1 week included). I’ve been taking for nearly one month and it’s not agreeing with me . I read the side affects and I’ve been feeling them for the past couple of days. Dizziness that I lost my balance dancing . My stomach feels quite unusually weird. I would say somewhat quezzy … my thoughts are confused instead of being clear . I just feel mentally off. So I won’t be taking them for one week and see if there is any change . If so , unfortunately I’ll be returning them . It’s unfortunate as I was really looking forward . Curiosity led me to try this Lab Mind Pro nootropic and at age 72, well as you might know, the so called mental decline and all. 30 days later there has been no cognizant difference in the before, during or the after of consuming this product.